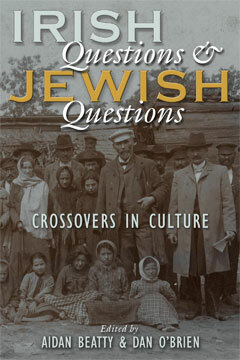 A collection of essays exploring the comparative history of Irish and Jewish identity. “Beatty’s and O’Brien’s comprehensive collection corrects and amplifies our understanding of the historically significant relationship between the Irish and Jews, one that has been largely governed by the linking analogy of the title, but, as these critics show, with insufficient nuance. These impressive essays represent in divergent ways what Stephen Watt describes in his contribution as the ‘multi-disciplinary bristle of a nascent Irish-Jewish studies.’ “—Marilyn Reizbaum, Bowdoin College. “Boldly revisionist—challenging and deconstructing the notion that Ireland was friendly to Jews, the authors offer a more nuanced and complex image of the ambiguous and often unsettling relationship between Irish and Jews.”—Eugenio Biagini, coeditor of The Cambridge Social History of Ireland since 1740.